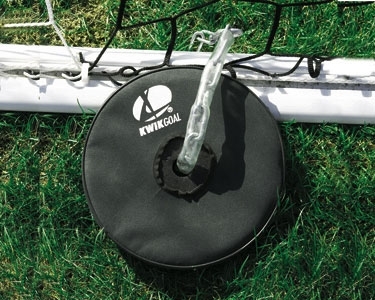 Our KwikGoal Steel Anchor Weights for soccer goals, it anchors the goals to the ground, and keeps it from moving. KwikGoal Lifetime Guarantee. 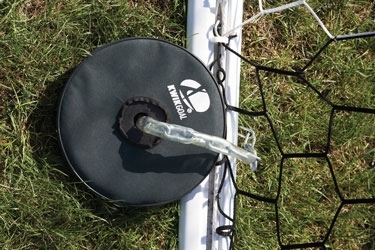 Quality Features: * Carry bag contains 40 lbs of steel weight * Used for portable indoor/outdoor installation * Set of 2. Accessories Included: Chain included for convenience.